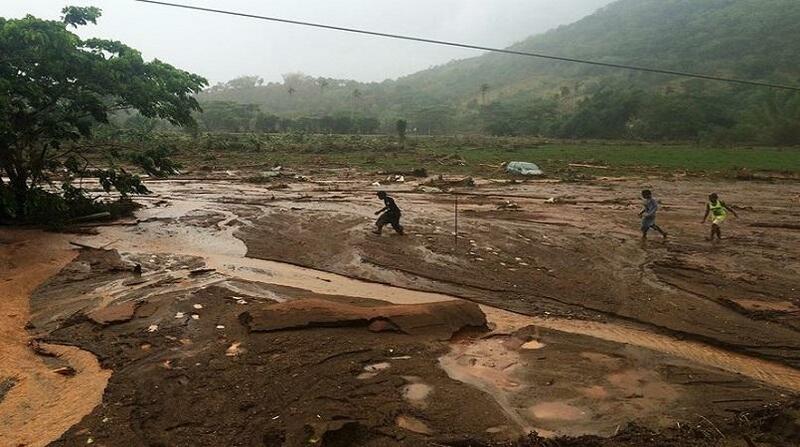 At least four people have been killed and another four are missing in New Caledonia after heavy rain triggered landslides. The body of 60-year old woman was discovered near Huoailou on the main island's east coast which was worst hit by the torrential rain. An eight-year old girl was found in a landslide which left her mother injured. In the same area, a 30-year-old woman and a seven-year-old child were killed in landslides. The Kanak villages of Ouakaya and Gouareu were hit by landslides. Communications have been difficult and roads have been blocked in many places, with rescue services having trouble to be able to assist. In some places 400 millimetres of rain fell in just 12 hours. French leaders, including Francois Hollande and Manuel Valls, have expressed their condolences.